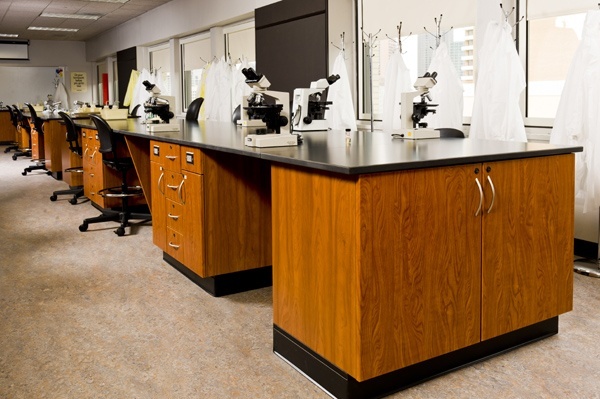 Lab Storage | Donnegan Systems Inc.
Design high-performing research and teaching labs. Cabinets can be constructed in any measurement to accommodate specific equipment and supplies. Place your teaching materials within easy reach with cabinets designed to your specifications. Locked glass doors allow you to see the contents while keeping hazardous supplies and expensive equipment secure. 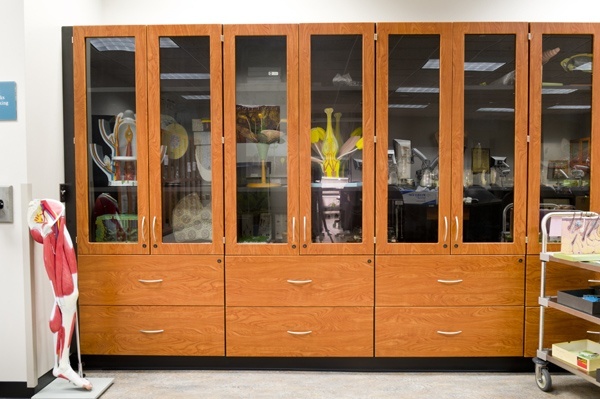 Personal storage options in the classroom with locked casework drawers and cabinets. 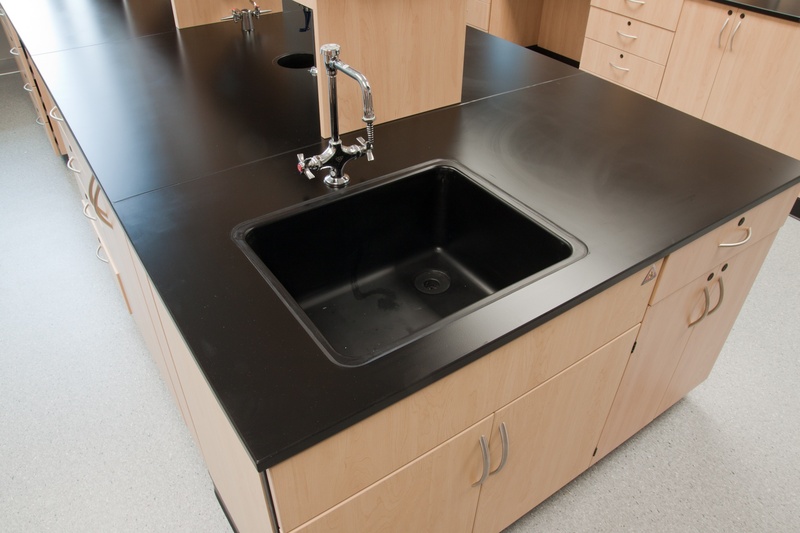 Ultra chemical resistant and durable phenolic resin worksurfaces. Raceways built into work islands and base cabinets that house electrical and plumbing pathways. 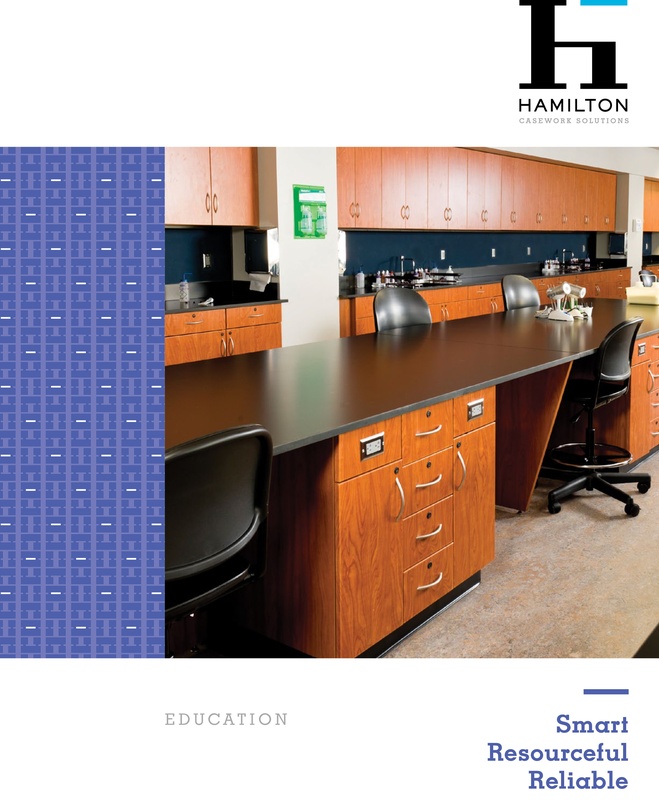 Work islands, sinks, base and wall cabinets, and even the instructor’s desk can all be designed with the same finish to create a clean and uniform look that is both functional and aesthetically pleasing. 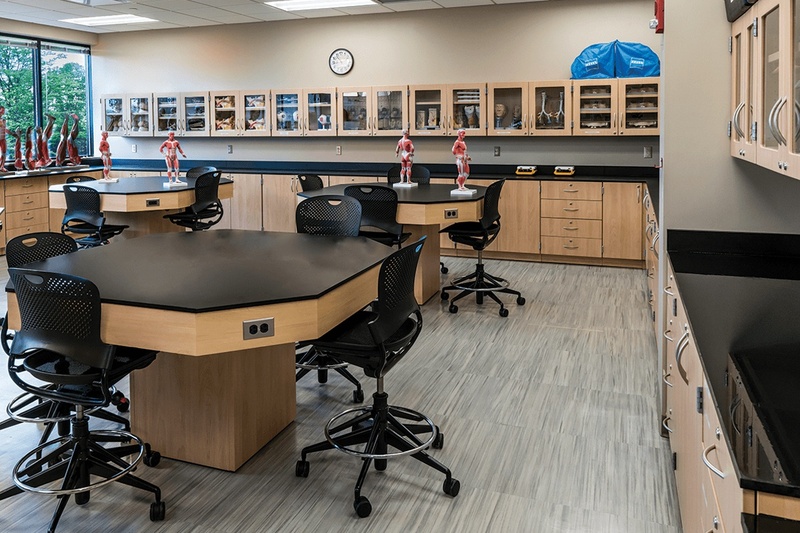 Our islands and desks can be designed to accommodate groups of students, it’s the perfect fit for teaching labs where lab groups and partners often work in tandem. The curve of the casework matches the soffit above. Our kick plates allow sheet flooring to be applied right to the face creating a smooth cleaning surface and eliminating capillary action where mold and mildew can grow. 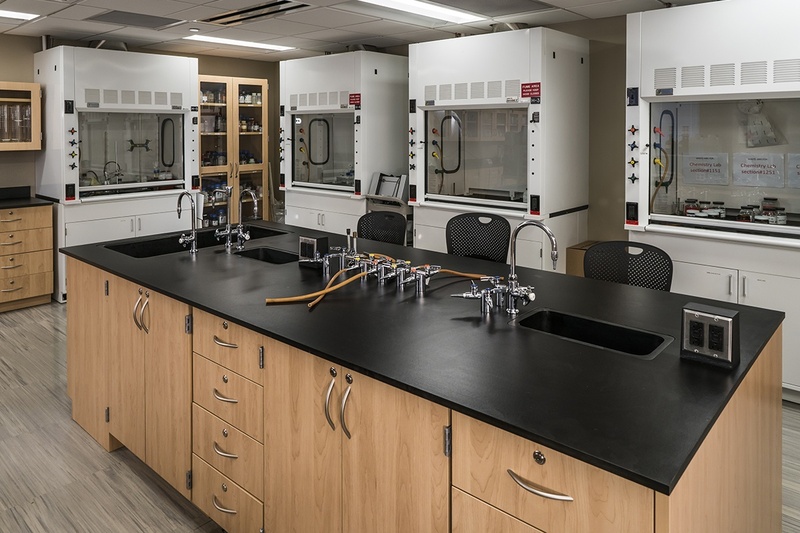 The lab technician who teaches classes in this chemical lab had a hand in its design. The work islands provide personalized space for up to four pairs of students. On the island, each pair has their own access to RO water, air, gases, vacuum and sink along with drawers that hold all of the tools for the students in their order of use for the course. 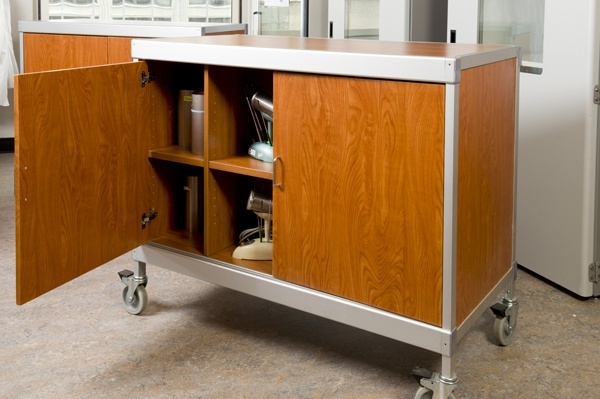 Carts like this one can be custom designed to fit your needs, allowing you to take learning materials and lab specimens to various rooms without contamination or risk of damage. Our casework can incorporate integrated sinks. The panel under the sink provides protection from hot pipes, and are easily removed by university personnel for maintenance. See how our education solutions can transform the way you learn.